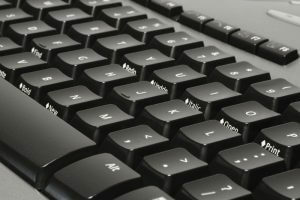 Mechanical keyboards are widely used for gaming, and using these computer peripherals bring joy, comfort, and enthusiasm to a broad range of users. 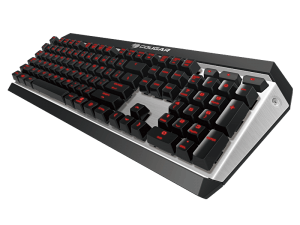 Redragon, Corsair, and Logitech are some of the known manufacturers of mechanical gaming keyboards on the market. In this page, we’re going to introduce some of the best mechanical keyboards you can buy in the Philippines. We’re also going to show you a guide on how you can choose the right mechanical gaming keyboard for your needs. Comfort is one of the main advantages of using a mechanical keyboard, but it’s not the only incentive you’ll get. 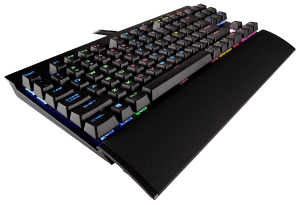 Let’s take a look at what these keyboards can do for your gaming and computing requirements. Using mechanical keyboards can minimize typing errors and they’re more hard-wearing than their chiclet counterparts. Also, your motivation for your work will rise each time you press a mechanical key because of the great sound and feel of it, which, in turn, will aid in increasing productivity. Diving deeper into these benefits will help you gain a better understanding of what a mechanical keyboard has in store for you. Some people might confuse membrane keyboards with their mechanical counterparts. Membrane keyboards use pressure pads to detect each press, which delivers minimal tactile feedback. As a result, it allows for easy key presses but at the cost of lower accuracy during typing. Mechanical keyboards, on the other hand, take advantage of switches instead of pressure pads. Each key press with these keyboards presents a tactile feedback allowing users to know they’ve successfully pressed the key. Hence, it makes for fewer errors during typing and gaming sessions. Mechanical keyboards tend to have a more robust design as compared to chiclet keyboards. This design choice does bring extended life spans which do help justify their more expensive price tags than their chiclet siblings. Manufacturers design their mechanical keyboard keys to withstand millions of keystrokes. Even if you remove the key, you can place it back without worry. As such, if one key does decide to conk out, you can just replace that particular piece instead of buying a new keyboard. Removing the keys also make it easy for users to clean the device to help further extend its lifespan. Many mechanical keyboard users claim that using the peripheral assists in increasing productivity. It might be a subjective way of looking at the device, but it is worth noting that each key press, regardless of the current usable state of the key won’t sacrifice its quality performance. Hearing and feeling those clicking sounds does make for a satisfying approach to typing and gaming. 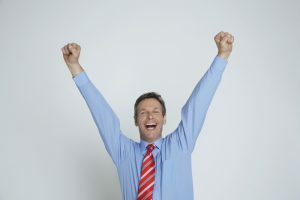 The feeling that rises from within after that satisfying “click” can aid in boosting morale regardless of what you’re trying to do with your computer. Despite its benefits, you still have to be careful when choosing a mechanical keyboard. It’s in this regard that we bring you this segment to help you choose the right device. Choosing the best mechanical keyboard doesn’t have to be too complicated. However, there are some factors you need to consider before you decide on which model to buy so as not to create any regrets after the purchase. 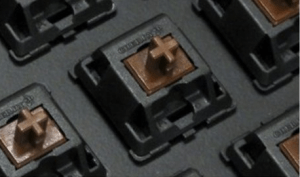 The most important factor in choosing any mechanical keyboard on the market is the type of switch. It represents the key’s “feeling” and the sound it makes when pressed. It’s essential to choose the right switch for the right purpose. In this segment, we’re going to explain the differences between each type of mechanical keyboard switch. Red mechanical switches present the lightest feeling and there’s also little feedback when pressing the keys. As a result, you can use the keyboard for a long time without getting tired. Many say that mechanical keyboards with red switches are often the best choice for beginner users. Also, many professional gamers use keyboards with red switches when playing their favorite titles. 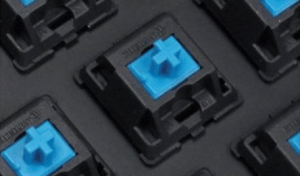 Blue mechanical switches are known to be the “heaviest” among all mechanical keyboard switches. They promote a strong feeling with each press. Also, each key press has a very strong clicking sound which means it’s an ideal choice for programmers. The heavy feeling will help assure programmers that they didn’t commit mistakes while they’re working on a project. 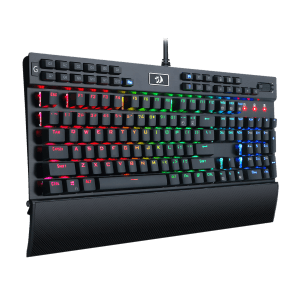 The sound and feeling given by brown mechanical keyboard switches present a moderate experience as compared to its blue and red counterparts. Users that find red switches to be too light or blue switches to be too heavy, then brown switches should be the way to go. 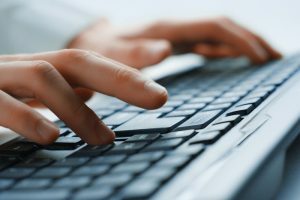 Many people don’t think much speed limits regarding typing with keyboards, but typing too fast can bring about issues. For instance, if you type in a hurry, then some characters won’t appear on your screen. 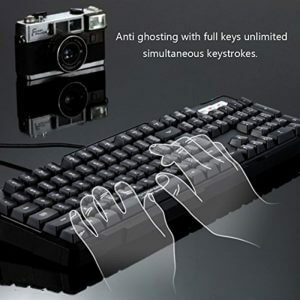 Intense gameplay and high-speed typing can cause ghosting issues. Mechanical keyboards with an anti-ghost feature can help solve this problem. Routine keyboard commands are easy with macro. Mechanical keyboards that support this feature allow users to automate certain commands. Users can register particular keyboard or mouse operations to do away with the tedious task of pressing multiple buttons every time. It’s even possible to execute complicated applications with macro keys and all it requires is one key press. Macro keys aren’t found in all mechanical keyboards so you should look for a unit that has this feature, especially if you want more efficiency in your work or play. You may have read some online articles about mechanical keyboards or perhaps a friend recommended you to start using one. By now you’re interested in buying the right mechanical keyboard to help boost productivity and gameplay. Luckily, you’re here right now as we’ve listed the top 10 mechanical keyboards in the Philippine market presented in a ranking format. Be sure to check out our thoughts on each item to help you choose which keyboard fits your needs. Many good mechanical keyboards on the market break the ₱ 3,000 mark, but this model lets you stay within the lines of your budget. 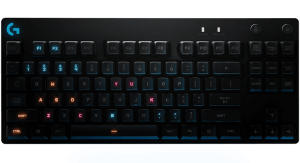 It has custom Outemu blue switches designed for excellent durability, responsiveness, and a precise tactile feedback great for typing. It’s not a full-sized keyboard, which means you don’t get the number pad usually found at the right. Still, if you want to start using a good mechanical keyboard at a reasonable price or if you don’t have so wide space on your desk, then this is your unit. This model has all the basics that you can find on most mechanical keyboards like setting up macros and re-assigning keys with the help of a dedicated software. It uses the Oetemu Blue switches to give users a nice, heavy feedback with each press. The accompanying application doesn’t let you do much except for the basics, but it’s suitable enough to get a decent amount of customization done. Get this if you want to get a budget-friendly full-sized mechanical keyboard. Despite having Cherry MX red mechanical gaming switches, each key press with this keyboard gives a tactile and satisfying sound and feedback. It even comes with a 100% anti-ghosting feature for whenever you want to become a keyboard warrior. However, each key press is quite loud which can become distracting for some people. Nonetheless, if you want a mechanical gaming keyboard with red switches that presents an above average clicking sound and feel, then definitely consider this model. 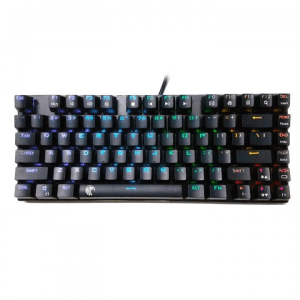 This mechanical keyboard boasts many features fit for gaming such as 12 programmable macro keys, custom Outemu switches, and a full N-Key Rollover for anti-ghosting. It even has 6 multimedia keys and interchangeable WASD and arrow keys. One caveat you may experience is that light easily reflects from the wrist rest so proper positioning and location is a requirement. Gamers who want to customize their WASD and arrow keys or other lefthanded gamers and typist should check this keyboard. Many mechanical keyboards focus on casual gaming because of additional features, but this device lets you bring it to eSports tournaments. 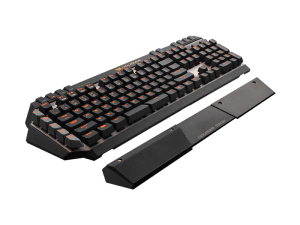 eSports have set guidelines for keyboards you can bring during events, and this device ticks all the right boxes. It also comes with the brand’s proprietary Romer-G mechanical switches that promote a faster response time than standard Cherry MX switches. It ultimately results in less travel and fewer latency issues for optimal eSports tournament-playing experiences. One thing you’ll immediately notice with this model that’s unlike many other mechanical keyboards on the market is its split spacebar. This feature is ideal for gaming since you can set 1 macro to the right space key, but it does offer a learning curve for typing. This keyboard also comes with a set of memory buttons that help you switch profiles on the fly. Gamers who use different keyboard profiles for various games will definitely get a kick out of this model. While many mechanical keyboards on the market vying for the sharp, edgy gaming look, this model doesn’t stand out too much in the design department. Nonetheless, it makes up for its lack of visual flair with its excellent-performing Cherry MX Blue switches that’s great for typing. However, the space bar is slightly shorter than other models on the market which might take some getting used to. Ultimately, this mechanical keyboard leans to enticing writers, office workers, and programmers as opposed to just gamers. This mechanical keyboard wants to entice gamers that value both design and function in one device. 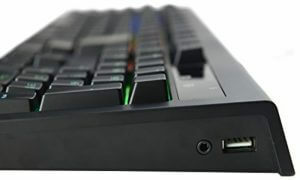 It comes with a textured keycap set along with a high polling rate to ensure no disconnections or lags take place during intense gaming moments. It does, however, doesn’t do well in the RGB lighting department as it’s dim as compared to other models within a similar price range. Still, it gives users complete flexibility and versatility as all of its keyboard keys are fully programmable. 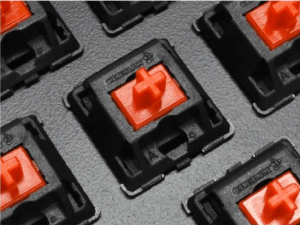 Cherry MX Speed switches are essentially Cherry MX Red switches but with a higher actuation point. In other words, users can press even more keyboard keys than before to initiate commands. As such, this model is ideal for programmers or for playing games that require multiple button inputs. Writers, on the other hand, may want to select other mechanical keyboards on the market because a higher actuation point means more frequent typos. Nonetheless, its overall performance and features bring a satisfying experience to gamers and programmers alike. This mechanical keyboard does have an expensive price tag, but it has the features to justify that element. 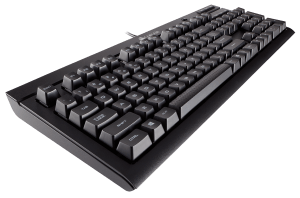 First, its Cherry MX Speed switches to create a satisfyingly smooth tactile with each press and speed up your typing with a higher actuation point. Its deck is also made out of aircraft-grade aluminum so you’ll know it can survive longer than many other models on the market. This mechanical keyboard is for serious PC enthusiasts with its design, functionality, and price. Choosing the best mechanical keyboard for gaming, productivity, or both shouldn’t cause too much of a dilemma. There are several factors to consider but you can always use our guide to help you choose the right model for your specific requirements. You can even go back to our ranked list of recommended mechanical keyboards in the Philippines to give you a clear idea of what to look for in these computer peripherals.